So, I haven’t been baking lately for various reasons. I have been able to eat, though. Yesterday, we ventured out to Pabla Indian Cuisine to try out their vegetarian buffet and afterward stopped by Common Ground Coffee and Cupcakes, just a few blocks away, for a cupcake (or two). 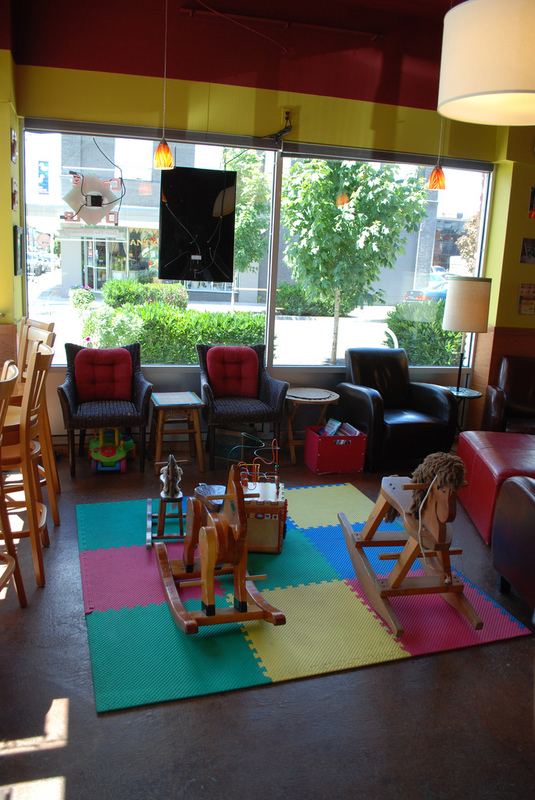 We were so stuffed from lunch that we got the cupcakes to go, but the shop seemed like it would be a pleasant place to stay awhile: free wi-fi, coffee, toys for the kiddies. The second cupcake was okay. The chocolate cake was moist, but the icing again had no distinct flavor. The website says “marshmallow/graham cracker” for butter cream flavor, but I’m not sure if they meant garnished with a graham cracker. 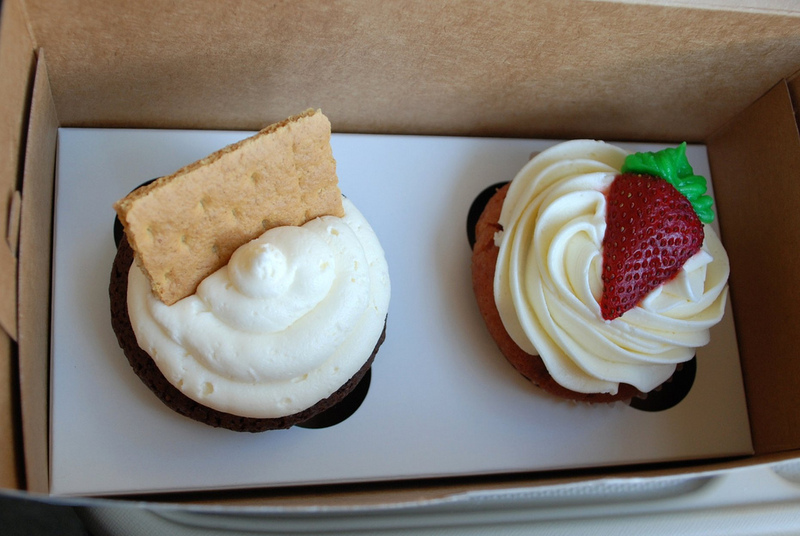 After having amazing S’mores cupcakes from Trophy and New York Cupcakes, this was a bit of a disappointment. My rating: ♥♥. I’d eat this again, but I wouldn’t pay for it. 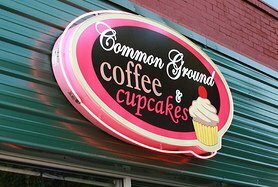 The two cupcakes that I had from Common Ground were good, but not spectacular. I’d be willing to try them again. I wish that their website contained a little more information. It didn’t really draw me to their store. I like a little more description of flavors available. That gets me intrigued about a specific flavor and ready to go and seek it out. I love the strawberry with the icing stem! I want one!